Fantastic Feathers: Start a day fresh! I am not an early riser. It took long time for me to realize the importance of starting a day positively. Early to bed and Early to rise - we are hearing this from childhood. 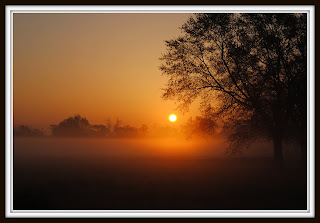 Many do yoga and surya namaskarams in the morning, meditate and start the day with exercise or walking. In this hurry bury modern life, getting up early and sitting peacefully for sometime itself is difficult. I too want to start my day by praying God on opening my eyes, take a stroll and enjoy the nature, have a steamed cup of coffee, enjoy its aroma, read newspaper and listen to good music. It might be the most ideal way to start a day for me. This might be the case for many too, but still I believe starting a day positively will impact our attitude for whole day. When we get up late, since we will not have time for anything, we get nervous, shout at family, crib about traffic , crib about managers in the office and be irritated whole day. This sure can be avoided by starting the day fresh. For some, it means meditating, for some, it's yoga, for some, it's exercise, for some, it's listening music and so on.. What is your ideal way to start a day? I am not tagging anyone for the challenge, as i am taking this for the second time. However, feel free to take this challenge, below are simple steps for this challenge. Post a favourite quote of yours for 3 consecutive days, obviously a different quote each day from any book, any author of your choice. It could also be your own quote. 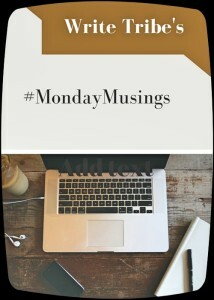 Also, linking this to #MondayMusings on WriteTribe.